Pat Derby is the president and co-founder of the Performing Animal Welfare Society (PAWS). 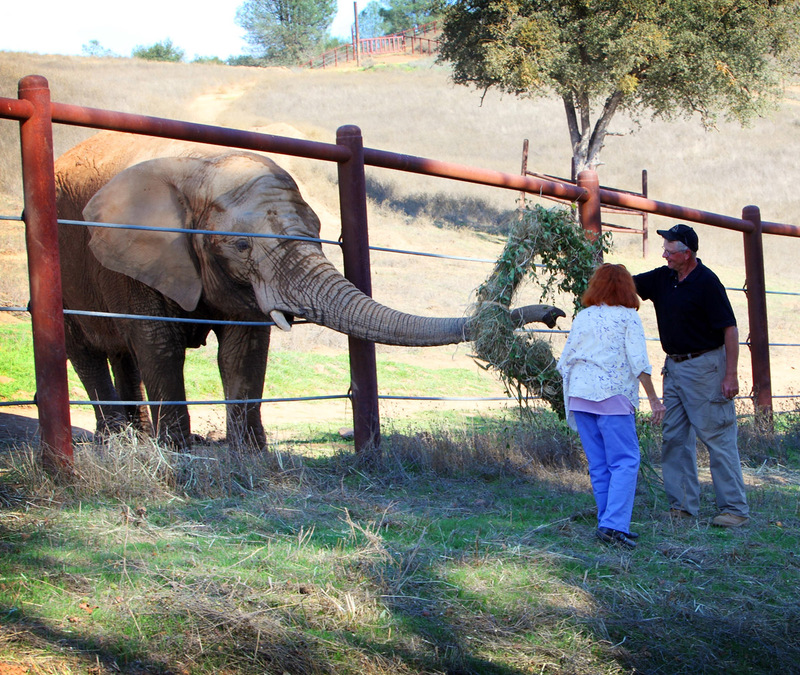 PAWS maintains three wildlife sanctuaries in Northern California, and is an internationally-recognized leader in animal welfare. Among PAWS greatest concerns are the treatment of animals in traveling shows, animal acts, and television and movies, as well as captive breeding, the exotic animal trade and inadequate standards of care for all captive wildlife. PAWS also protects wild species and their habitat with international programs established in India, Mexico, Africa and Cambodia to diminish human/elephant conflict and to establish protected areas for wildlife. 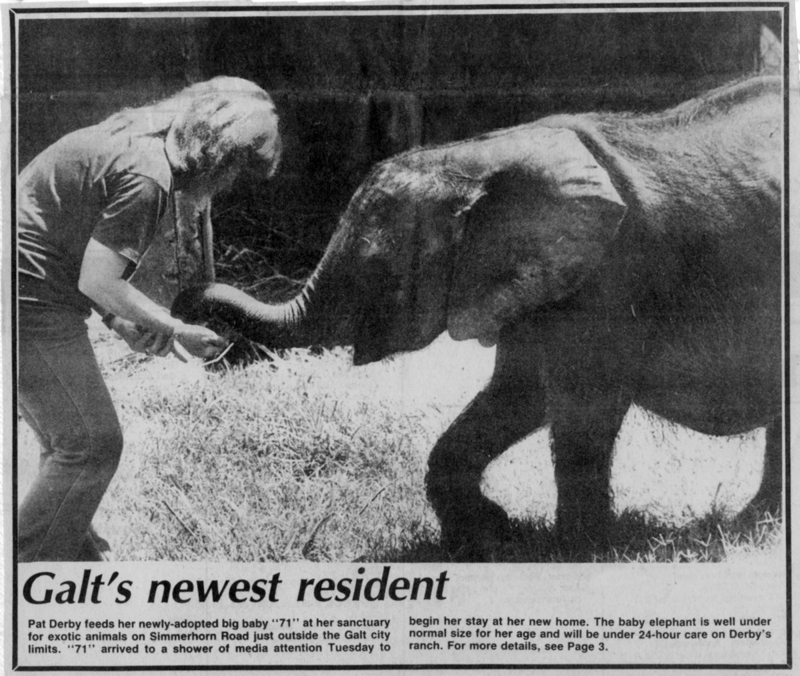 A former Hollywood animal trainer, Pat worked with exotic animals as a trainer on the set of many popular television shows in the 1960s and 1970s (“Flipper”, “Daktari”, “Gunsmoke”, “Lassie”, “Gentle Ben”), as well as several Disney films. She was also the trainer and spokesperson for the famed Lincoln Mercury "Sign of the Cat" car commercial cougars — Chauncey and Christopher. Pat and her animals made numerous appearances on "The Tonight Show" with Johnny Carson. During her years in Hollywood, Pat specialized in non-abusive training using positive reinforcement, unlike most Hollywood trainers at the time who relied on dominance and physical force. Determined to initiate better standards of care and handling for performing animals, Pat chronicled her experiences in her first book, "The Lady and Her Tiger." An exposè on the treatment of performing animals, it was chosen as a Book-of-the-Month-Club selection, won an American Library Association Award in 1976, and caused her career in Hollywood to come to a grinding halt. 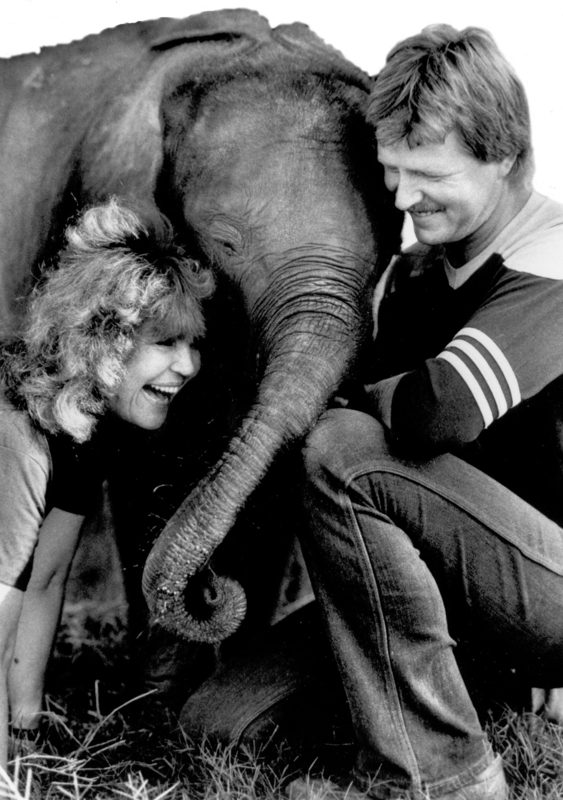 It was during her last years in Hollywood that Pat met PAWS co-founder, Ed Stewart, and made the decision to retire her animals. But the stories of abusive training on movie and television sets continued, and prompted Pat and Ed to advocate for legislation that would mandate better standards of care and handling for captive wildlife. In 1984 they founded PAWS; in 1985 they opened their first wildlife sanctuary in Galt, California, 30 minutes south of Sacramento.